Actual Size 1/16" - 1/8"
Black Flies are considered to be any of a number of species of small humpbacked flies, the females of which are bloodsucking. Typically dark with broad, transparent wings, adults range from 2.5 to 3.5 mm (0.10 to 0.14 in) long. Black flies are sometimes called buffalo gnats or (improperly) sand flies. The female deposits her fertilized eggs on rocks in swift streams. The larvae develop aquatically and emerge as adult flies in spring. Black flies or Buffalo Gnats, are small flies more common near streams and rivers then around ponds or lakes. The reason being that the larvae needs fast flowing water to survive. The larvae gather food by clinging to underwater debris and filter particles with brushes on either sides of their head. The fast flowing streams keep a constant supply of food to the developing larvae. The females are bloodsuckers, and their bites are painful. No other biting flies inspire such apprehension as do black flies. In some forested areas, black flies can be so numerous and can attack so persistently that outdoor activity during the day without some protection becomes almost impossible. Black flies often land and take off repeatedly without biting. Their numbers, and their tendency to bite, increase as sunset approaches. 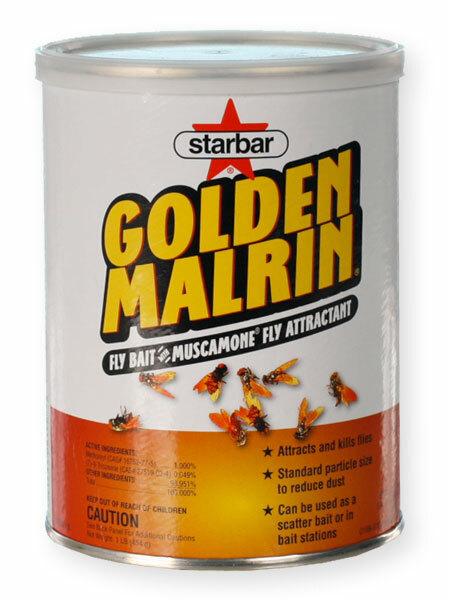 Even when they are not biting, however, their buzzing presence and constant crawling is as irritating as the bloodsucking itself. Mercifully, relief comes after dark, for unlike mosquitoes and biting midges, black flies do not attack at night. Also unlike mosquitoes, black flies seldom attack indoors or even in a vehicle; once they sense being trapped their attention seems permanently diverted to escape and they spend the rest of their lives crawling up the screen or window pane. In the northern US and southern Canada, black flies are on the wing from early May (coincident with the bursting of buds of forest trees, especially sugar maple, before mosquitoes appear in numbers) until mid-June. Farther north, in the boreal forest, they may be present throughout June and July, whereas in the Yukon and mainland Northwest Territories, where rivers are usually ice cold until midsummer, black flies do not appear until late July or early August, after mosquitoes have nearly disappeared. There are more species of black flies than of mosquitoes in Canada; over 100 have already been recorded, and there are more that have not even been named. Black flies are more selective in their choice of host than are mosquitoes, and comparatively few species take human blood. Most species seem to feed only on the blood of birds and a substantial percentage apparently do not take blood at all, because their mouthparts have degenerated and appear useless for bloodsucking. Bird biters may, however, be attracted to humans, probably by the carbon dioxide we breath out, and when numerous can be annoying, even though they do not bite. Black Fly Control Black flies are not controlled but are repelled. The use of insect repellents such as OFF and products containing DEET may provide some relief during the daylight hours. Black flies do not bite at night. Fruit flies can reproduce anywhere there is fermenting organic matter that stays consistently wet or moist. Like other flies, the fruit flies develop from larvae, and fruit fly larvae must have moist, fermenting organic matter in order to survive. The most likely of these sites in the home is in fruit that is fermenting or rotting and in trash cans that haven't been emptied recently. Also a slow-moving or seldom-used sink, bathtub, shower or floor drain in which a layer of slime (organic film) has built up above the water line. In pier and beam homes, moisture under the home or immediately around the perimeter can provide a breeding site, and also in the soil of house plants that have been overwatered or are not draining properly. In restaurants and bars, any type of fermenting organic liquid or solid matter such as spilled beer, soda's, and food should be considered. These include wet areas under dripping pipes and refrigeration equipment, garbage containers, and discarded bottles and cans. Regardless of where the flies originate, they will be seen hovering above the bar or in kitchens and causing a distraction for customers and workers. The name bottle fly (or greenbottle fly) is applied to numerous species of blowflies. These flies can be different colors, although usually bright green or blue. Bottle flies are found in most areas of the world, and the most well-known species is the common green bottle fly. The green bottle fly will usually appear where foul or other organic waste has occurred, usually in areas where manure, feces, trash, rotting debris or other similar matter is found. The presence of this fly usually always indicates that something has died, rotted or some type of filth has occurred. They can show up in these areas within minutes of it occurring. Their presence should not be taken lightly, as this fly is highly capable of transmitting disease and other organisms from these areas of filth and waste to almost any area that is deemed safe and sanitary. An interesting fact of the Green Bottle fly is that the maggots (immature larvae) of this fly are known to consume dead tissue while leaving live tissue intact. They have been sold for use in maggot therapy, primarily during the years before the widespread use of antibiotics. Control of bottle flies usually is best obtained by removing and cleaning areas of attraction such as those mentioned above, and the implementation of chemical sprays, repellents and traps. 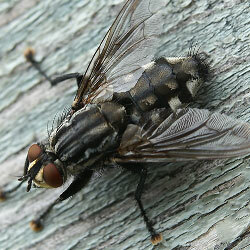 Cluster flies closely resemble house flies, but they are usually larger and have a yellowish hairs on the thorax. They are parasites of earthworms. The more abundant earthworms are, the more likely it is that cluster flies will populate and become a nuisance. Earthworms are most abundant near places where manure has been piled or stored. High earthworm populations are common in grassy areas, good soil and where moisture is adequate. On warm days in early winter, or when indoor heat is turned on, the flies become active and move toward the warmth. This happens only after they are exposed to a period of colder temperatures. The flies can become a nuisance in the middle of the winter, as well as spring and fall, when warmth or light lures them from their hiding places into other rooms of the house. During the summer, cluster flies go unnoticed as they search for their host, the earthworm. There may be four or more generations of cluster flies per season. The best way to control cluster flies indoors is to exclude them or "build them out". Sealing cracks and holes on the outside of the structure or caulking them helps reduce their annual buildup. Using caulk, screen, etc. on outside cracks and crevices and over attic soffit vents is another step you can take. You can also use the flies attraction to light to rid your attic of the creatures. Any commercial fly trap such as the Fly Web will help to capture cluster flies. Aerosol sprays containing pyrethrums such as V One Pyrethrum Aerosol will kill exposed adult cluster flies. Insect strips or no-pest strips can also help. Never use no-pest strips where food is prepared or served, or in bedrooms where children, elderly or sick people spend much time. Use the strips in attics, storage closets, enclosed porches, under eaves, etc. Outside areas may be sprayed with Demon WP or Talstar. Cluster flies do not bite people or animals and aren't attracted to garbage. They are a good indication of an earthworm supply not too far away! Deer Flies are closely related to horse flies but are slightly smaller. Deer flies are usually tan or brown in color, and like horse flies, deer flies have a piercing mouthpart which is capable of inflicting pain on humans. Nesting sites for deer flies can be up to a mile away from the areas where they are found. For this reason, control using sprays or fogs is generally not the recommended method for treatment.. Building exclusion is very important, especially screening on windows and doors that does not have rips or holes. Light Traps are very effective at capturing deer flies. Place Light Traps in areas deer flies are found. Electronic zap traps should be placed far away from homes and buildings so as not to attract deer flies to them since they don't actually capture flies, but only zap them. Sprays in or around the areas where they frequent will give only temporary control. Drain flies (or moth flies) are small, dark, fuzzy, moth-like insects. They are weak fliers, typically flying only a few feet at a time. They are often found clinging to the walls of bathrooms, kitchens, or in the basement. During the day, adult flies rest on walls or on the sides of tubs and shower stalls. They become more active at night, hovering over drains, sinks and other breeding areas. Drain flies breed in polluted shallow water or the scum that often collects around drains. In the house, drain flies lay their eggs in the gelatinous material which accumulates on the sides of drains and overflow pipes, and the larvae feed on the decaying organic matter and microscopic plants and animals that occur there. Adults usually emerge in a week or two, although during the colder months of the year development may take longer. Although these flies do not bite, they can be annoying in the house. Control of drain flies should be aimed at control of the breeding sites. The most effective control method is to clean the drain pipes with a stiff brush, removing all the slime in which the flies breed. Sometimes it may be necessary to remove the trap to thoroughly eliminate the breeding media. Pouring hot water down the drain provides short-term control. Use Drain Gel in drains on a regular basis to remove drain scum and to help prevent Drain Flies from breeding in them. Drain fly larvae are difficult to drown because they are able to trap air bubbles and remain submerged for a day or more. Drain flies are perhaps the most common insect inhabitant of sewage treatment plants. Almost any type of fly trap will help to trap Drain Flies, the use of aerosols containing pyrethrums such as CB 80 Pyrethrum Aerosol is also very effective at killing adults. Face flies (Musca autumnalis) are a problem particularly in rural areas of northern and coastal California where livestock are present. The hotter, drier weather in southern California and the southern San Joaquin Valley is not conducive to their development. Face flies require fresh cattle or horse manure for development. The face fly looks virtually identical to the house fly but is somewhat larger and darker in color and male face flies have a distinctive orange-yellow-colored abdomen. Like the house fly, it also has sponging mouthparts and cannot bite. However, face fly behavior is distinctive because they are specifically attracted to the eyes, nose, and mouth of cattle and horses. Flesh-fly maggots occasionally eat other larvae although this is usually because the other larvae are smaller and get in the way. They also eat the larvae of grasshoppers and also eat beetles, snails, and caterpillars, especially the forest tent caterpillar. This habit can be useful for biological control. Flesh-flies and their larvae are also known to eat decaying vegetable matter and excrement and they may be found around compost piles and pit latrines. Two copulating flesh flies can frequently give birth to live young on corpses of human and other animals, at any stage of decomposition from newly dead through to bloated or decaying (though the latter is more common). Horse flies are most active in hot weather, mostly in summer and autumn during the daylight hours. Most species also prefer a wet environment, which makes it easier for them to breed. The female lays eggs on vegetation overhanging moist soil. The larvae hatch and drop onto the soil, where they feed on smaller organisms until pupation. The house fly is the most common fly found anywhere. It is easily recognizable as it's Identifying marks include several dark gray stripes along the upper body (prothorax). The house fly is gray to brownish in color and can be easily confused with the face fly. House flies undergo a complete life cycle with eggs, larvae, pupae and adults. The house fly is commonly found in in almost all dwellings occupied by humans or animals, and is the number #1 nuisance fly in the world. The house fly is a very fast breeder with the female laying up to 150 eggs at a time on 5 - 6 day intervals. House fly populations can literally explode in just a few short weeks. Eggs are commonly laid in rotting garbage, organic matter, etc. The complete house fly life cycle can complete itself in as little as 3 - 5 days with adult flies living on average for up to 1 - 2 months. Several generations of flies can be produced in 1 season. Most of the control efforts for house flies are non-chemical. That's because house flies have to controlled before they become a problem. Corrective house fly control techniques involve the use proper sanitation measures to prevent attracting adult flies which in turn results in egg laying, proper building exclusion measures to prevent adult flies from gaining access to sanitary areas or becoming a nuisance and as a last resort, capturing or killing the adult flies. Almost any type of fly trap will help to trap House Flies, the use of aerosols containing pyrethrums such as CB 80 Pyrethrum Aerosol is also very effective at killing adults. Indoors, gnats can be a very real nuisance. Fruit flies can be confused with gnats, as can drain flies. The primary difference is that gnats are usually much smaller and are not strong fliers. As is the case with fruit flies and drain flies, gnats are the product of stagnant or standing water and other organic matter that can harbor them long enough for them to develop, which can be in as little as 3 days. House plants, trash or garbage and standing water that is either under the house, or immediately close to the outside of the structure are the primary culprits. Although drains such as those in kitchen sinks, floors, tubs etc, are commonly thought to harbor gnats, they only enter these areas looking for sources of moisture, and seldom actually breed in drains. In commercial kitchens, floor drains can lead to outside grease traps or other waste collectors and these areas can be a source of infestation, but not the actual drain itself unless it is not used or flushed on a regular basis. Gnat control indoors indoors usually involves finding the source of infestation, eliminating that source and then controlling the flying adults. Treatment of all household indoor plant soil, (not the plant inself) with a contact non-systemic insecticide such as BiFen I/T is highly recommended. To kill adult gnats use CB80 and "fog" the areas where these gnats are found. CB 80 can be used in the air, trash cans, around plants, inside drains, etc to give an immediate kill. Floor and sink drains should be treated with Drain Gel. 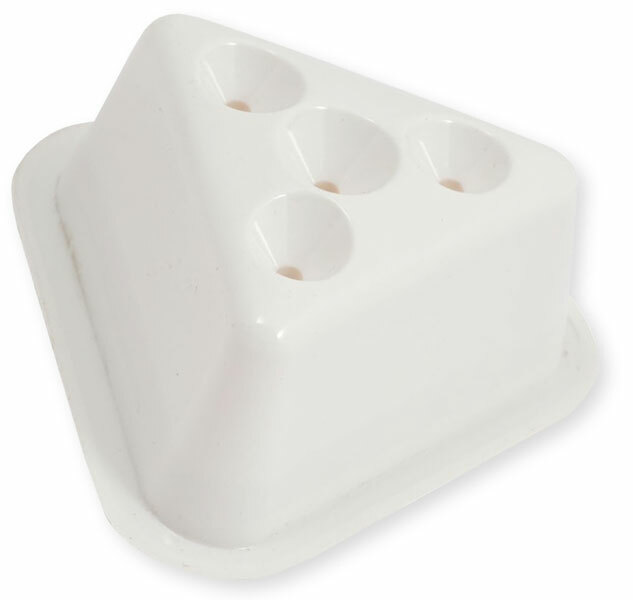 Electric Fly traps such as the Flyweb Plug-in fly light also give good results. 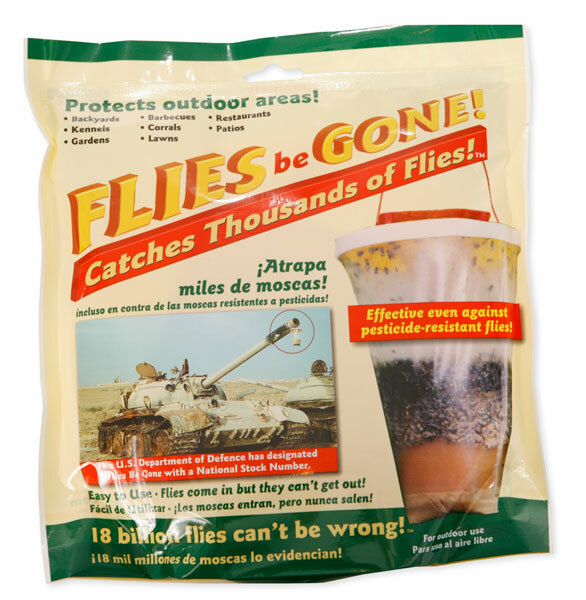 Biting Midges, Punkies, Sand Flies, No-See'ums. Often called "punkies," " no-see'ums ," or biting midges, the sand flies are vicious where they occur. They are often more troublesome than mosquitoes and most biting flies because they can easily enter dwellings through ordinary 16-mesh window screen. The presence of these insects can decrease property values and severely hamper use of recreational areas. Vacationers and campers literally have been driven away from areas by these tiny biters. Sand flies can also cause loss to cattlemen in terms of annoyance to cattle and transmission of various nematode diseases. Sand flies undergo a complete development with egg, larva, pupa, and adult forms. The adults are less than 1/16 inch long, dark gray to black in color and have one pair of wings which are spotted. The sand flies breed predominantly in salt marshes; however, some species that are found inland breed in fresh water areas and tree holes. Larvae of sand flies are found in mud, sand, and debris around the edges of ponds, springs, lakes, creeks, and in tree holes or on slime-covered bark. In the water they are free swimmers and are commonly found on floating twigs or leaf trash. The larvae pupate on floating debris or at the water's edge. The adult females, like mosquitoes, require blood to mature the eggs. Males do not bite. Sand fly larvae can be found in marshes the year-round; however, the period of greatest adult activity is June to August. Sand fly activity is associated with air movement. Adults of most species seldom bite when there is air movement. Sand flies are also sensitive to temperature. Animals having a high body temperature are attractive to great numbers of female sand flies. People working out-of-doors frequently are severely annoyed by these insects. Control of adult sand flies with insecticide sprays is mediocre at best and temporary in nature due to the continual emergence of these flies. The larval habitats are so extensive that control of the larvae is not possible. Phorid flies are very small - usually 1/8" or less and are easily distinguished from other small flies by the characteristic "hump back" shape of their abdomen. Also known as the "humpbacked" fly, phorid flies are usually tan to dark brown in color and have dark eyes. Easily confused with fruit flies which have red or orange eyes, phorid flies are a serious pest of food manufacturing facilities around the world. The phorid fly will often feed and breed in moist decaying matter. Like other flies, the phorid fly is a frequent visitor to unsanitary areas and often transmits disease causing germs and bacteria onto food products and sterile surfaces. Phorid flies are also a pest of mortuaries and funeral homes and are often referred to as "coffin flies". In fact phorid fly larvae have been found in open wounds of patients in hospitals. Phorid flies go through a complete life cycle - egg, larvae, pupae and adult. The female phorid fly lays about 20 eggs at a time and will lay about 40 - 100 eggs over a 12 our period. The complete life can be completed in 14 - 37 days. The basics for Phorid fly control are not unlike that for any of the other major fly species. Control only comes from finding and eliminating all sources of potential infestation. Finding the breeding areas is the difficult part, and is the most important part of a total elimination effort. Pesticides and traps only provide remedial control. The regular cleaning of floor drains is crucial in Phorid fly control. Bleach and hot water will not eliminate larvae or eggs breeding in a drain. The use Drain Gel will dissolve the organic matter where Phorid flies live. This film must be removed in order to kill and prevent flies from breeding and propagating. If Phorid flies are found breeding in moist soil, garbage, or organic decaying matter, the only way to eliminate them is to remove the moist decaying matter. Spraying the infested areas with a pesticide will not provide control. Only proper drying and proper sanitation to these areas will provide control. Gentrol Aerosol is a good product to use to kill Phorid fly eggs and discourage immature fly development. Gentrol can be applied into drains, under appliances, floor mats, around plants, dumpsters, etc. Almost any type of fly trap will help to trap Phorid Flies, the use of aerosols containing pyrethrums such as V One Pyrethrum Aerosol is also very effective at killing adults. There are over 3,000 different species of mosquitoes throughout the world; currently 176 species are recognized in the United States. The mosquito, houseflies and fruit flies are considered part of the same family as they each have two wings that are both clear and veined. Mosquitoes are well-known as summer pests and they develop from egg to adult in 10 to 14 days.